As many of us worried about our declining fertility with age, did you ever consider egg freezing as an option to extend your childbearing years? Do you know what the right age to freeze your eggs is? Should you even consider egg freezing? Oocyte cryopreservation is a remarkable technique that allows women to lock their fertility potential at a certain age. Female fertility declines as the quality of eggs deteriorates gradually after a certain age, while the eggs in a younger woman are known to be much healthier. Fertility clinics have come under fire after reporters and researchers accused the institutions of selling ‘false hope’ in the form of egg freezing for future fertilization in women who may not even have healthy eggs. 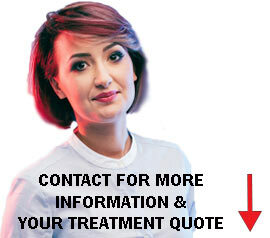 The procedure of freezing your eggs is being marketed towards women aged 30 and above. By freezing their eggs, fertility clinics say, women are guaranteeing their ability to have a child further down the line should they ever want to become pregnant. At what age should you freeze your eggs? A study published in the journal Human Reproduction revealed that only 6 percent of the women who froze their eggs for non-medical reasons, actually ended up using them. The procedure of freezing eggs became fashionable in the 2010-2013 period. Since then there have been a lot of advancements in technology which has allowed medical professionals to increase the success rates of IVF with frozen eggs. However, a lot depends upon the quality of eggs at the time of freezing, but fertility clinics are failing to mention some key factors when marketing their egg freezing procedure to women in their late 30s or over even over 40 years. Fertility in women gradually begins to degrees from age 35 and by 40 years there is only a very small chance that you will be able to conceive with your own eggs. So freezing the eggs in your late 30s or 40s makes no sense. The deteriorating quality of eggs makes conception difficult, and pregnancy also becomes dangerous as you age. The chances of successfully carrying a child decrease as you grow older. Flash freezing of eggs is a delicate process. If not performed by an experienced specialist, the eggs can get destroyed both during the freezing and the thawing process. A study published by Fertility and Sterility in 2003 that explained the correlation between advanced maternal age and the decrease in pregnancy success rates. Increased age was associated with significantly reduced embryo implantation rate and pregnancy rate. Women over the age of 40 have a lower chance of becoming pregnant even with outside assistance. 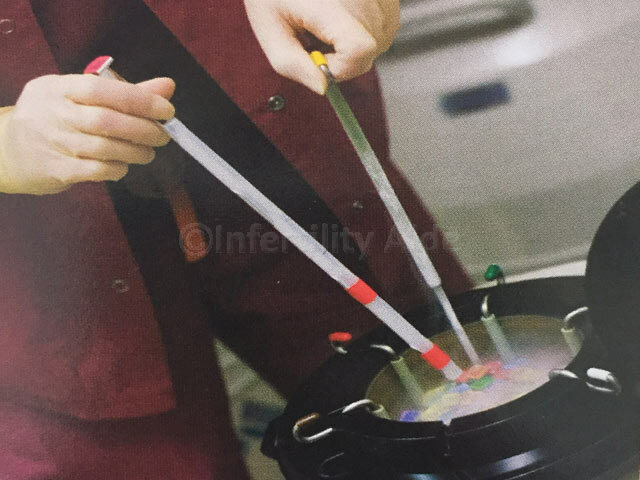 The quality of eggs is one of the main reasons for failure of IVF and even if you are able to conceive, there is no guarantee that the embryo will be able to survive to maturity. The fact is that when you freeze eggs for future use, you are diminishing their value. There is an argument to be made about the age at which the eggs are frozen. A report by the Human Fertilization and Embryology Authority (HEFA), examined success rate data from fertility clinics in the UK, where women had chosen to freeze their eggs. Egg freezing, despite becoming popular every day, comprised only 1.5% of total fertility treatment cycles in 2016. It was also noted that the birth rate for women using their own frozen eggs was just around 18%. Although it was higher than the 12% in 2014, the success rate is still significantly lower than that in a typical IVF cycle. In 2016, only 39 babies were born to women using their own frozen eggs in IVF. 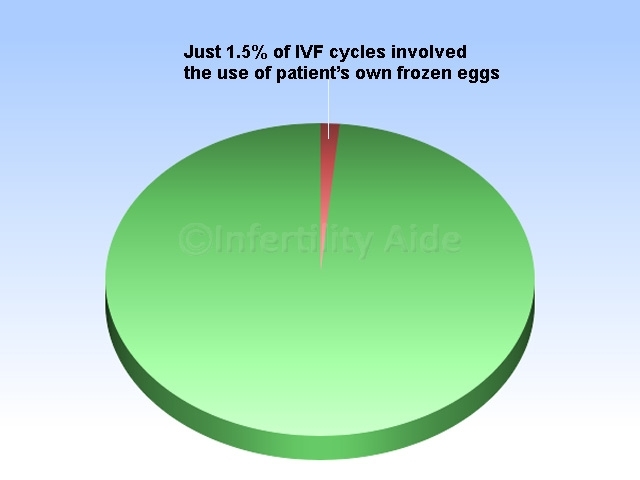 “Our data shows, however, that egg freezing cycles and subsequent thawing still account for only 1-2% of all IVF treatment cycles, and even fewer result in a baby being born,” said Sally Cheshire, chairman of the HFEA. For instance, a woman undergoing cancer therapy, removal of ovaries, or any other aggressive medical treatment that could impact her fertility, may seriously benefit from egg freezing. But if you are in your late 30s, you may have better chances of trying to conceive with fresh eggs instead of freezing them at that stage for pregnancies later in life. In older women, the stimulation process may require more injections, so the cost might be higher. Each clinic has its own price for egg retrieval, freezing, and yearly maintenance. Your clinic will charge yearly maintenance charges for storage of eggs. There are several factors that you need to examine if you are thinking about going through with the procedure. Do you have enough savings to afford the procedure? The procedure of freezing eggs for future use can be costly. Often times, insurance companies do not offer coverage for this procedure. The optimal age for freezing eggs is 30-35 and most women are not certain if this is the right decision. What is the right age to freeze my eggs? If you find yourself without the possibility of desire to have a child at the age of around 32-34 years, it may be the right time to consider egg freezing to extend your fertile years to your late 30s or even 40s. 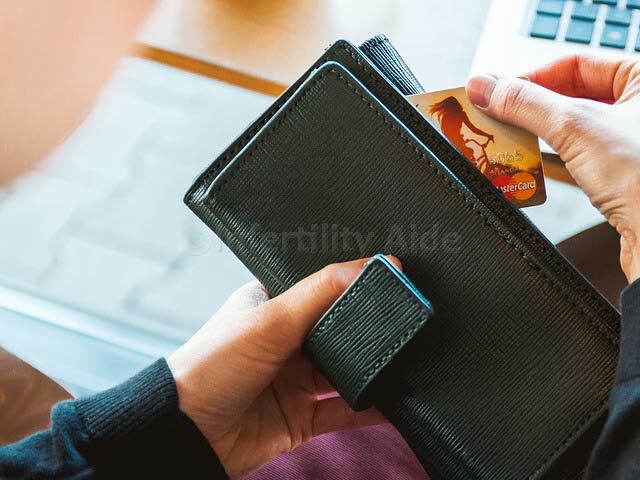 If you had any fertility problems when you were younger, you may ask the doctor to perform some standard fertility tests for women, so you will have an idea about your current fertility status. Will egg freezing affect my natural fertility? The level of AMH is an indication of your ovarian reserve and it is known to drop for sometime after ovarian stimulation. However it is not clear if the drugs used for ovarian stimulation can affect your natural fertility. Many women are known to conceive naturally after failed IVF cycles, and there are instance so of those who chose to froze their eggs but never used them because they ended up conceiving naturally. Before freezing your eggs you must ask yourself what are the chances of you having a baby naturally in the coming years? Also, how old are you? What is your current fertility status? See your gynecologist, get some fertility tests done, and plan to freeze your eggs only if you don’t foresee a pregnancy in the near future. If you have to undergo cancer therapy or some other kind of aggressive treatment that may impact your fertility, egg freezing will definitely be beneficial. Various studies have found that the desire to advance in their careers is seldom the reason for women to freeze their eggs. The real reason for egg freezing is that when women don’t have the right partner by their mid-30s, they choose to preserve their fertility so they can find the right partner and become mothers at the right time. Your motivation or reasons for egg freezing are your own and only you can tell, maybe with a little guidance from your gynecologist, if this is the right decision for you. What are your thoughts? Would you consider freezing your eggs to extend your fertile years? As a single woman around her mid 30s, should you freeze your eggs? If you have been thinking of egg freezing to preserve your fertility, you may want to ask some difficult questions and check with your gynecologist to see if this is really something you need to go for. It is imperative that you check your current fertility status before you decide to ensure the eggs that you are looking to freeze are still good and available.